Proceeds from the event will go toward Cherry Hill West Project Graduation. 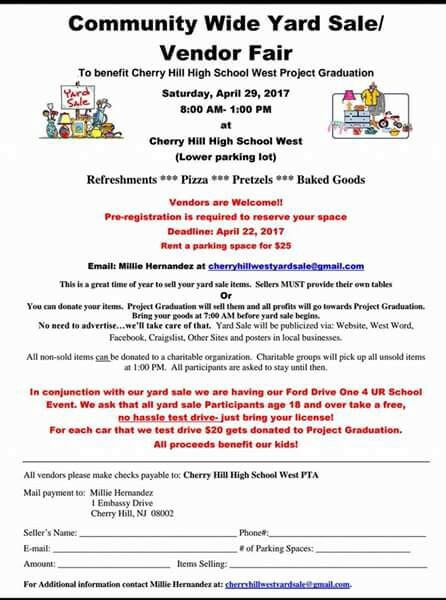 The 2017 Cherry Hill High School West’s Community Wide Yard Sale and Vendor Fair is scheduled for Saturday, April 29. The event will take place from 8 a.m. to 1 p.m. in the Cherry Hill West lower parking lot. 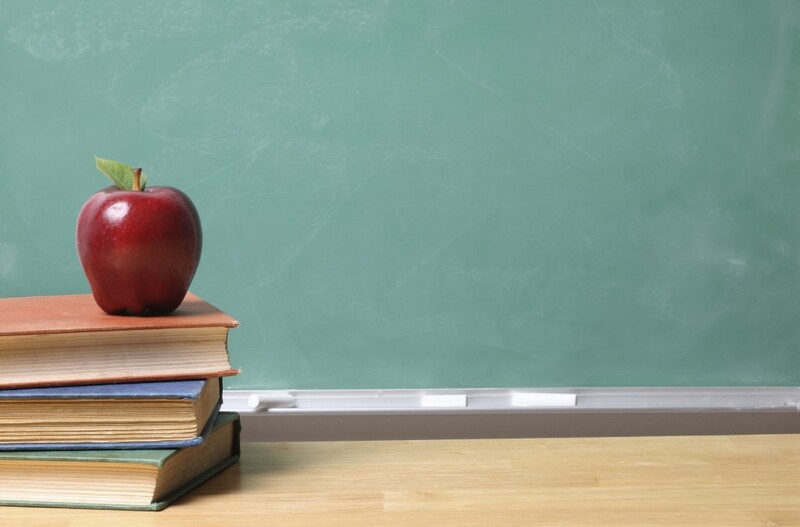 Proceeds from the event will benefit Cherry Hill High School West Project Graduation. Vendors are welcome to sell their goods at the event. Pre-registration is required to serve a space. The deadline to register is April 22. This is a great chance for residents to donate items for sale. Project Graduation will sell donated items, with all profits going toward Project Graduation. Donated goods must be dropped off by 7 a.m. before the yard sale begins. All non-sold items can be donated to a charitable organization. Charitable groups will pick up unsold items at 1 p.m. In conjunction with the yard sale, there will also be a Ford Drive One 4 UR School event. Participants 18 years or holder can take a few, no hassle test drive. For each test drive, $20 will be donated to Project Graduation.